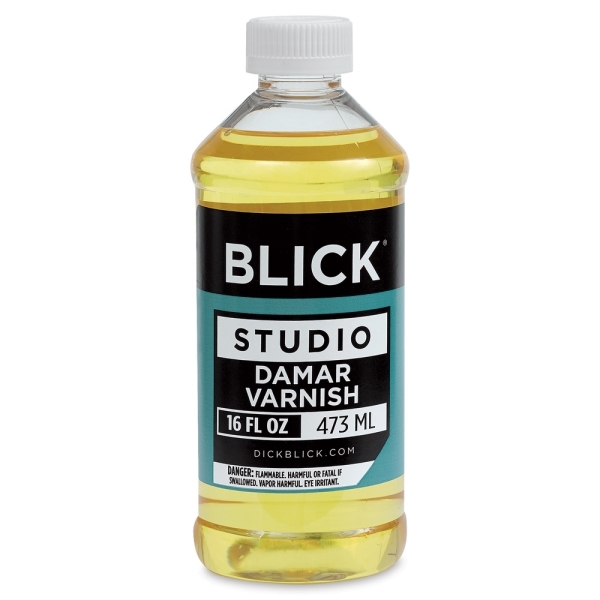 Made from high-quality natural resins, Blick Studio Damar Varnish provides surface protection for oil and alkyd paintings by preventing dust and airborne contaminants from adhering. 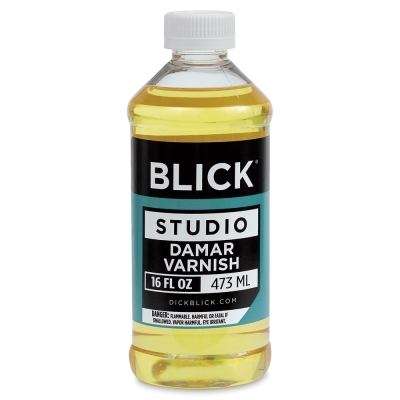 Made from high-quality natural resins, Blick Studio Damar Varnish provides surface protection for oil and alkyd paintings by preventing dust and airborne contaminants from adhering. The high-gloss finish increases color brilliance. It is removable with turpentine should the piece ever need to be reworked or restored.